PEB Industrial Shed Manufacturer in Delhi, PEB Industrial Shed Supplier in Delhi, PEB Industrial Shed in Delhi. 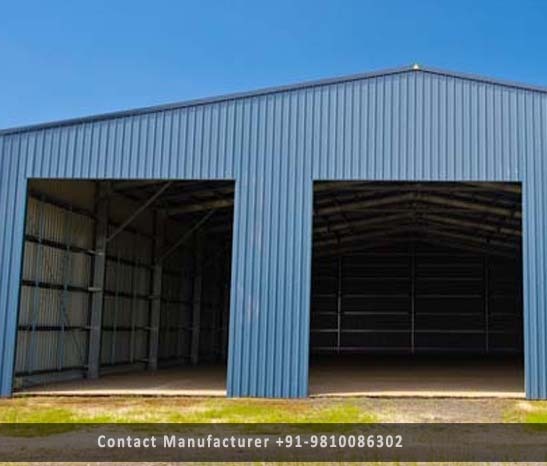 Keeping in mind the prestigious demands and requirements of our prestigious clients, we are emerged into presenting to our customers a wide range of PEB Industrial Shed. Available in steel frame construction, this PEB Industrial Shed can be used for constructing large covered areas. Furthermore, this PEB Industrial Shed can also be supported by insulation support to meet specific building regulations. To ensure their superior quality, we precisely manufacturer these products by making optimum use of the high-grade basic material and effective methodologies. Besides this, because of they're rocky, tough built and corrosion rust resistance, these are sheds are highly cherished all over the globe. Our client can purchase these from us at reasonable rates.